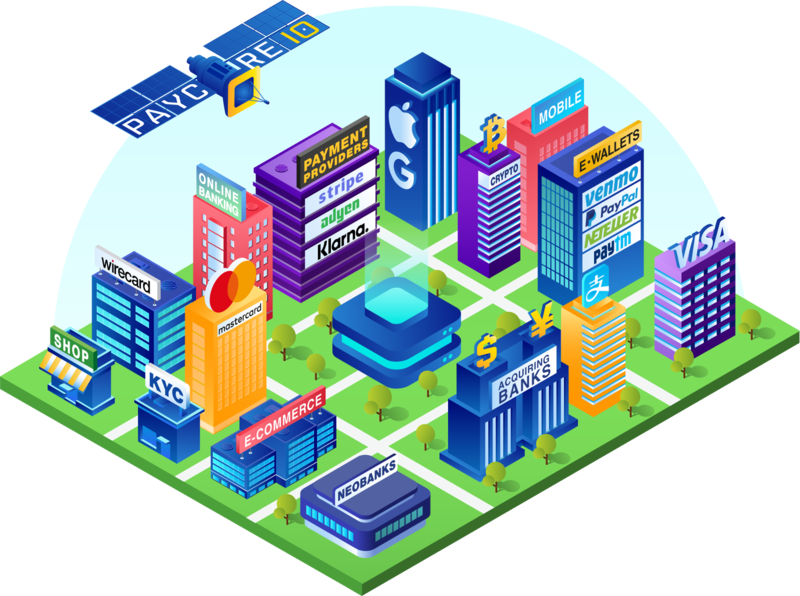 PayCore.io integrates payment providers and acquires all around the world to one hub and offers a unified communication interface. It's the software platform for online businesses to manage payments and mitigate risks. Paycore.io supports virtually any business model and provides all the trusted online payment and payout methods, wherever your customers are. If you are selling internationally, you can offer different payment methods that are well-known worldwide. However, you can also work with methods that are considered safe in all local geographies you operate. You can define routing criteria by customer location and offer more payment processing options for your internet business. PayCore.io can help to optimize all transactions by orchestrating cashflows across payment providers and acquiring banks. It dynamically determines the optimal route for incoming and outgoing payments based on inherent transaction fees and success rates. Moreover, it allows for a transformation of all payments into local transactions, eliminating cross-border and currency conversion fees for international payments. Our automated platform enables your non-IT staff to take full control and change any flow, add or suspend merchant accounts, and many more at any time through the web-based Dashboard. Benefit from almost endless routing possibilities by creating a payment or payout scheme that permits you to specify your own criteria. Design payment page, carry out A/B tests and optimise the checkout flow to increase sales and grow your customers. Survey customers as to why they left the payment page to improve the shopping cart abandonment rate. Access to all the local payment methods in each specific region via the unified payment platform. 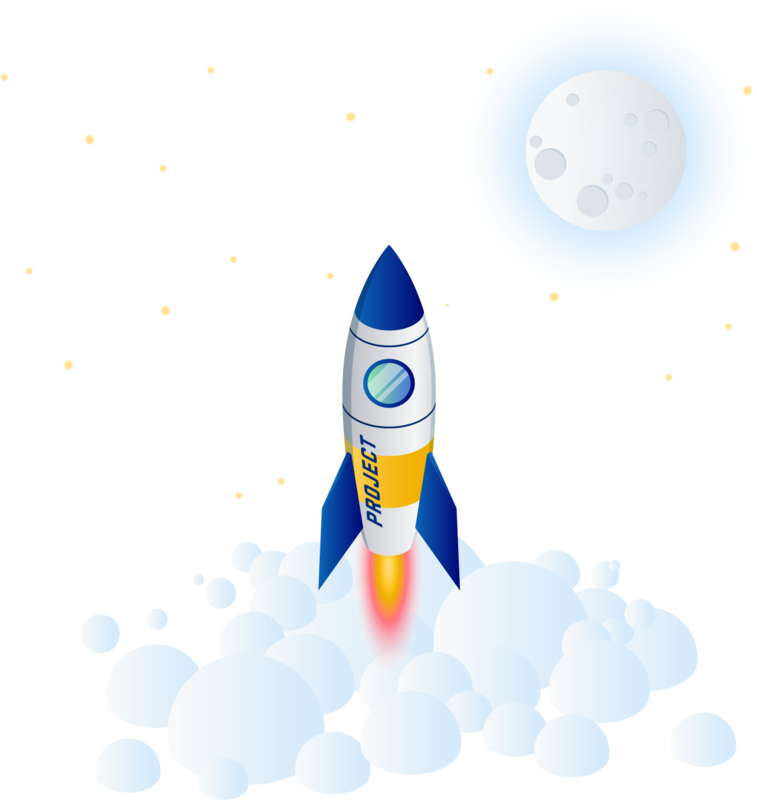 PayCore.io is designed not only to streamline and automate payment operations but also to solve a labour-intensive and time-consuming reconciliation issue of international payments in multiple currencies across multiple merchant accounts and payment providers, offering the automated and full reconciliation solution to organise and unify all the transaction data. It’s the fully-equipped finance management tool for any online business. 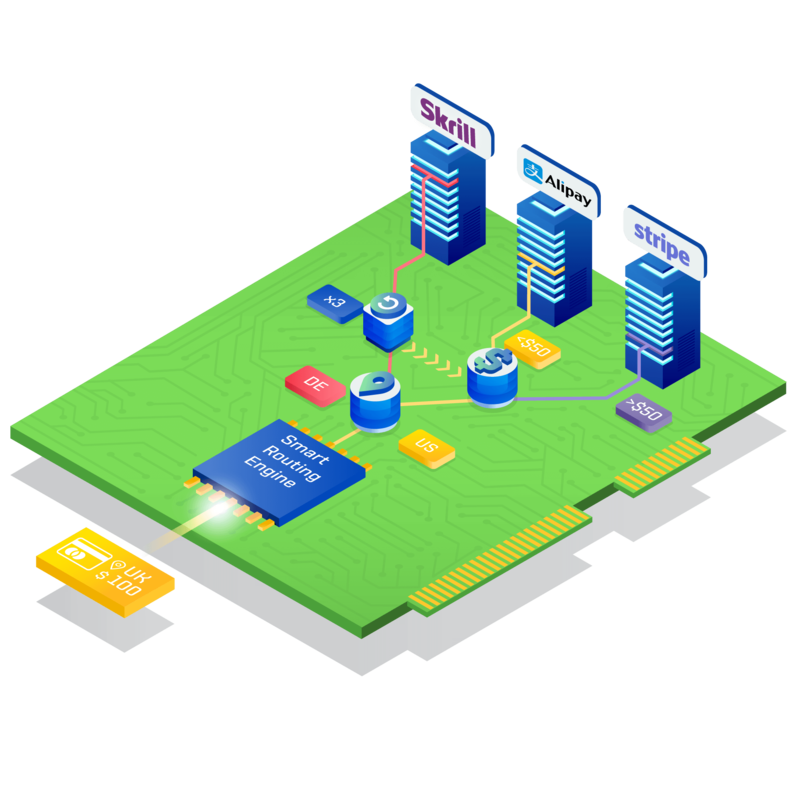 It comes with a set of open API to help you connect it to the rest of your business ecosystem. Our customers are able to take a full control over payments, observing at the real-time time how transactions are processing. PayCore.io allows payment flow and transaction management via the web interface. The automated and full reconciliation solution to organise and unify all the transaction data. Non-IT staff can take a full control and change any flow, add or suspend merchant accounts, and many more at any time. 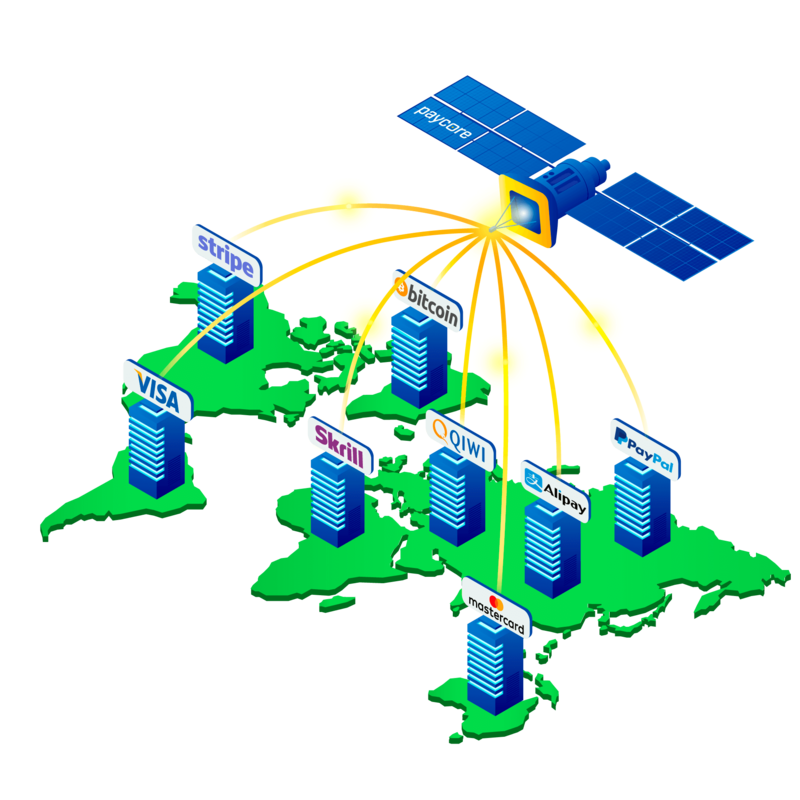 The centralized system for collecting and analyzing large sets of payment data originating from disparate sources. From within one place you can now gather extensive information about history, details, and transaction status. 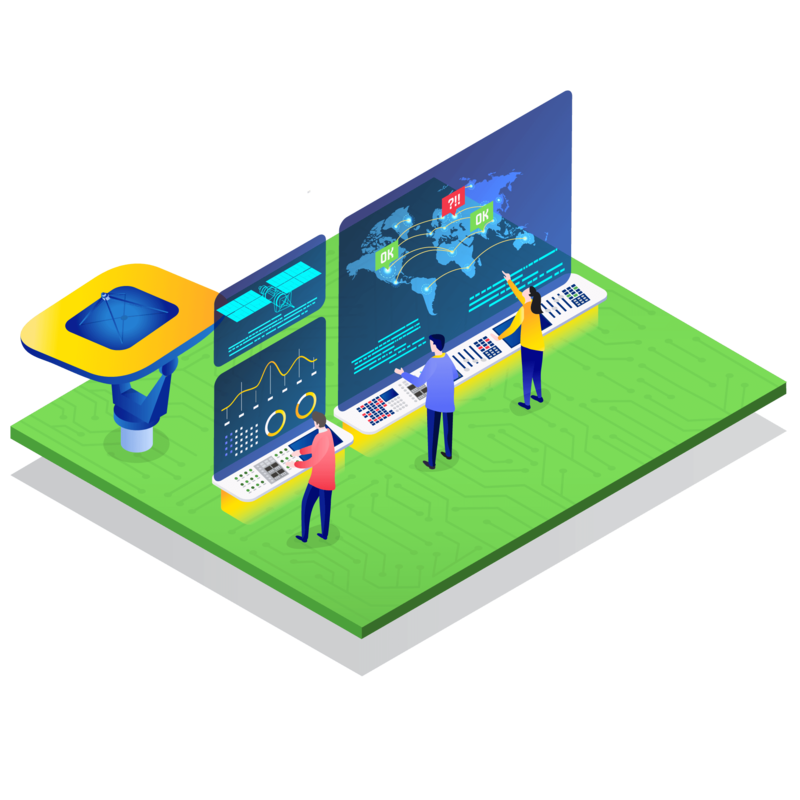 PayCore.io is the right solution for all your needs to hedging against risks and ensuring payment performance while keeping consumers safe. We offer you suitable instruments for payments hedging by supporting dynamic settlement account allocation, cascading and prioritisation for both incoming and outgoing transactions. Our sophisticated anti-fraud protection tools can be tailored and configured to your unique business needs. 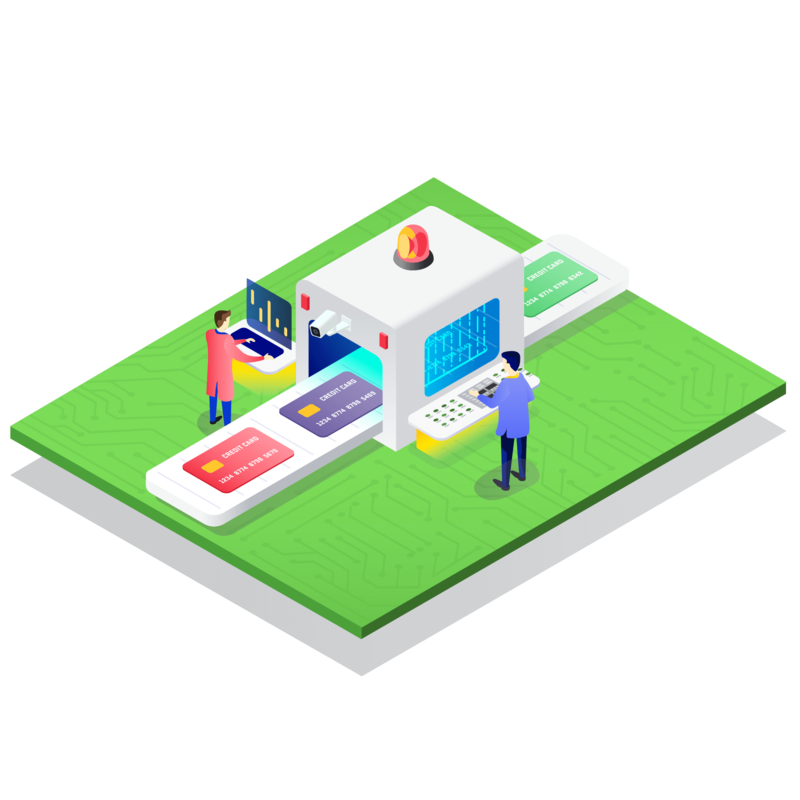 PayCore.io is built on 100% proprietary technology and provides collaborative access, team management and other functionality to support day-to-day operations, whilst being fully PCI DSS compliant. PayCore.io uses SSL encryption to handle all transaction data. We provide effective DDoS mitigation, ensuring your payment services won’t be taken offline when faced with a targeted attack. Multiple instruments to offset the risk including automatic revenue distribution across your merchant accounts. The highly-effective set of tools to protect your transactions and reduce the number of chargebacks. Graphical insights into transaction performance, availability and response time both in real time and historically. The platform is secure and compliant with the various information security standards. PayCore.io caters to your financial needs through established integrations with all major payment solutions. We can give a single point of integration to over 500 payment providers and 200 methods worldwide. A single integration with PayCore.io gets you online with any payment processor the moment you enter the credentials. Whatever, your online business has lots of different types of offerings or multiple storefronts used to diversify your brand, you can design a transaction process that provides value for all cases while having multiple hosted checkouts. Get access to an unrivalled portfolio of local and international payment providers with one integration. Create different checkout pages for multiple storefronts and mange them from one place. Accept any online payment option and make payouts in multiple ways through the single gateway. All-in-one payment solution to support any business model and payment scenario. Whether your business is simple or complex, we offer a robust set of building blocks to frame your own payment solution that will help multiply payment capabilities and reach, support growth without investments in development or infrastructure, while keeping consumers safe. The building blocks that can be organised and configured to make a specific solution related to the online payments industry. The ability to leverage the off-the-shelf payment infrastructure allows you to focus on your business. 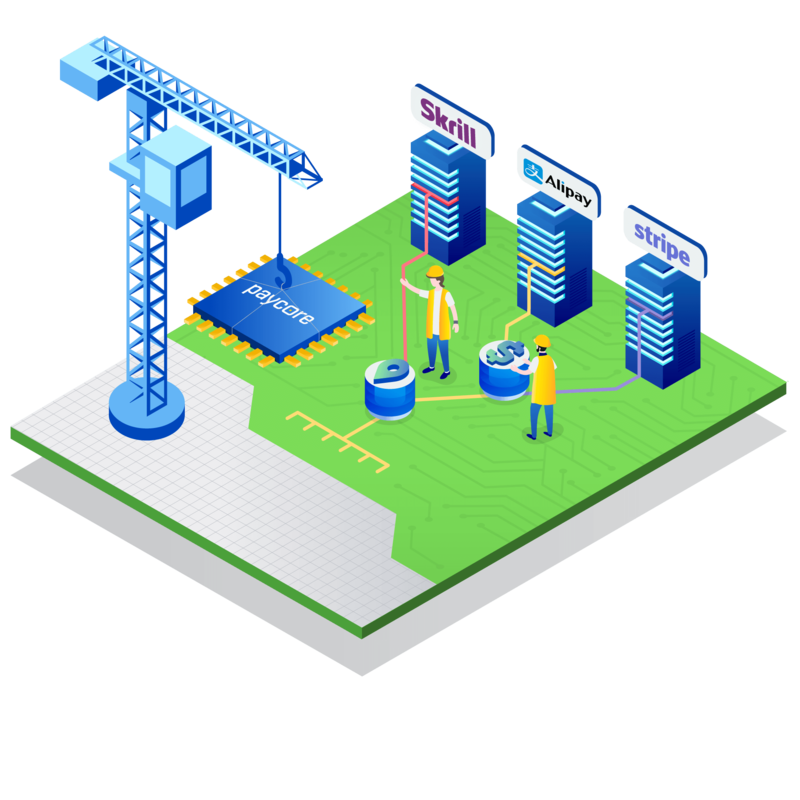 Our APIs allow you to integrate complex services with PayCore to build something better suited for your needs. PayCore.io caters to your financial needs through established integrations with payment solutions all around the world.